4 kids + Camp Mom = 87 long days of summer. We’ve officially reached the halfway point. No broken bones. Only one sunburn incident (the children were spared). A few minor cuts. Minimal mosquito bites. Most importantly, my sanity remains intact. I’ve learned a few things in the past six weeks. I love having no schedule. I hate having no schedule. The minute a stranger tells you, “Your children are so well behaved,” is the instant they show their true colors and make a liar out of that stranger. When I take the kids to Walmart, they will play hide-n-seek. If there is a knock on the door, it only comes when I’m not wearing a bra. When I take the kids to Costco, they will play hide-n-seek. Legos are dangerous. They should be played with in a home where shoes are mandatory. When I take the kids to the Acme, they will play hide-n-seek. Neil Diamond is better in concert at 71 than he was at 51. When I take the kids to Target, they will play hide-n-seek. 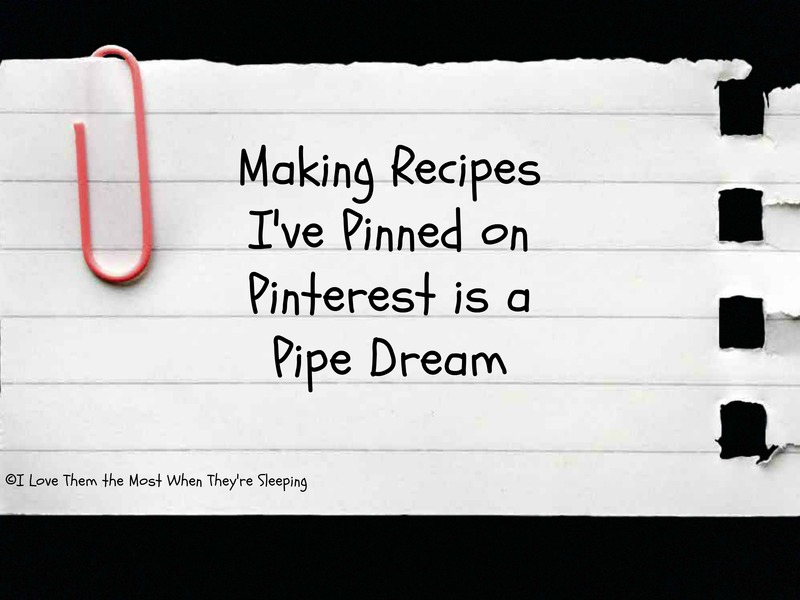 Making recipes I’ve pinned to Pinterest is a pipe dream. There is absolutely no reason to consume ice cream every night. Which is precisely why I eat it for lunch some days. You know, to mix things up. A 9 year old boy can thrive on a breakfast of 2 waffles with Nutella and sliced strawberries for 45 straight days. On the 46th day, he will eat 3 waffles with Nutella and sliced strawberries. There is nothing wrong with splitting an entire bag of Sun Chips with 4 children and considering it a healthy lunch for the 5 of you. A fedora can stay on my 6 year old’s head while he does flips in a pool. Underwater. It’s no wonder that the fedora is Indiana Jones’ hat of choice. A chipmunk can play dead convincingly enough that my cat buys it. That same chipmunk can wait until the cat turns his back, then wink at me to let me know he’s still, in fact, very much alive. When my husband announces to me on a Monday morning, “Oops, I forgot, I have a golf outing today. I probably won’t be home until after 10PM,” I’m going to need some time to digest that information. I’ll probably need to sit in a corner, hug my knees, and quietly sob. Don’t judge. I don’t really like crab fries. Unless they are dipped in cheese. This is a discovery I didn’t need to make. Parents whose kids are attending sleep away camp are easy to identify. They are either the adults who look tan, well-rested, and supremely happy…or they are the adults who see me with my 4 kids and proceed to laugh and point at me. I wish each of them a peaceful summer. And the pointers…I wish an unplanned pregnancy. May you be blessed with twins. Perler beads…like pine needles from a Christmas tree…can be found months after cleaning them up. Boot camp on the beach sounds great in theory. It’s a nut punch in reality. A sweaty, sandy nut punch. And I’ll still eat the donut that’s waiting for me on the kitchen counter when I get home. How could I not? It’s still warm. For. The. Love. Of. God. The $1 movie at Regal Cinemas on Tuesday and Wednesday mornings is the best deal out there. When there are 3 busloads of camp kids in line ahead of me, I grab my youngest child and urgently yell, “He has to poop! We need to get to the bathroom…he has to poop!” I cover his mouth with my hand before he rats me out. Race to the front of the line. Then sneak into the theater first. For 5 glorious minutes, my kids tell me I’m as cool as their Daddy. Totally worth the scene I made in the lobby. When the guys fishing on the beach pull 4 foot sharks out of the ocean, one after another, for over an hour, there’s no need to avoid swimming. Even when you have your period. Don’t ask. Just trust me. It’s perfectly safe to go into those shark infested waters. A cat is able to launch its body at a closed, locked bedroom door so violently that the door swings open. It sounds very much like a cannon firing from the hallway into your bedroom. And it only happens at 5AM. When I take the kids to the mall, and Party Rock Anthem begins playing over the speaker system, they will immediately form a straight line and bust out the moves to Dance Party 3 in perfect synchronicity. Strangers will mistake this for a flash mob and snap pictures with their iPhones and post them to FB and Twitter. When I clap my hands and relay the news, “Guys, Mommy’s piece made the Huffington Post!” like I did here, here, and here, 4 sets of eyeballs will stare at me blankly. Then one of them will pass gas, and a game of “who farted?” will ensue. There’s nothing like spending a hazy afternoon at a friend’s pool with my kids. 11 kids, 6 on giant rafts, laughing, swimming, splashing…the quintessential summer pool party. We parents marvel at how our children are growing…not yet teenagers, but no longer our little boys. We take time to swallow over the lumps in our throats and tell one another how lucky we feel that our kids are friends. And that we, in turn, have become friends. I go home on a day like that feeling like life is good. I wake up the next morning to the news that an armed man has walked into a movie theater in Colorado and opened fire on the audience. People are dead. More people are injured. Witnesses are traumatized. The country is in shock. I am tasked with telling my older children. My job is to find the right words. Words that will educate them. That will instill just enough fear to be cautious. That will provide just enough comfort to feel protected. Words that, once spoken, will hinder their belief that the world they live in is a safe place. I go to bed after a day like that feeling like life is not always so good. I spend the first half of the summer hoping that the men in power surrounding Jerry Sandusky didn’t really know. Sandusky is sick. He’s broken. But the men in power around him…none of those men was sick. I spend the first half of summer hoping that, had they known, they’d have put the welfare of innocent children above everything. Innocent children. And my heart breaks just a little bit upon hearing that they knew enough. Yet they failed to act. And again, it’s my job to tell my older kids. To find the right words to warn them that monsters like Sandusky exist. To encourage them to trust their instincts when something or someone doesn’t feel right. To expect them to comprehend that the men surrounding this monster had an opportunity to be better men…but didn’t take it. To remind them that these men have families who are now devastated and suffering. And to teach them that these families deserve sympathy…understanding…privacy…peace. Summer is half over. The little lessons I’ve learned have become memories. Snapshots in my head of perfect moments with my kids. Still young…and beautiful…and unaffected…and innocent. The big lessons I’ve learned have been sobering. Gut wrenching. They’ve been the catalyst for whispered conversations with my husband late into the night…Do we tell them? How do we tell them? When do we tell them? What do we tell them? They’ve been the topic of texts and poolside conversations with friends who care just as much as we do about keeping the lines of communication open between parents and children. Did you tell them? How did you tell them? When did you tell them? What did you tell them? What did they say? The big lessons have left me wishing I could keep my children blissfully ignorant. Sheltered. Protected. Do we really have to tell them? The answer for me is yes. We have to tell them. These things happened. The children…at least my older children…will find out. Best they hear it from the people they trust most in the world…the people who will tell them only what they need to hear. And answer their questions. And offer hugs. And suggest hope. Hope that no more big lessons like these need teaching…at least for the rest of the summer. May the last of our summer be filled with little lessons. Snapshots in our heads of perfect moments with our children. This entry was posted in Camp Mom, Huffington Post and tagged 87 days, Acme, Aurora shooting, Beach boot camp, Costco, crab fries, Hunter Pence, Indiana Jones, Jerry Sandusky, Legos, Neil Diamond, Nutella, Party Rock Anthem, Perler beads, Phillies, Pinterest, Regal Cinemas, Sun Chips, Target, Walmart by godsake. Bookmark the permalink. Laughed and teared. Perfect combo. Beautiful piece, Bethany. I wish horrible things didn’t happen in our world. It is so tough to explain to the little ones. Breaks my heart. Thanks so much, again, for making me laugh, and think, and cry. I agree, Maryanne. Life’s challenging enough already. Yes, the ugly events provide opportunities to talk with our kids. But I’d rather talk to them about things less ugly. Thanks for reading!! Wow….once again you have blown me away. I laughed, I cried…but most of all I nodded my head all the while agreeing with you. Not that I am raising four young men, heaven forbid I am not in that position. But that first I love summer, and all that makes it “great”. And that I love kids, and what makes each one of them great too. But third, and most importantly, that I agree that it is a “tricky” sometimes “icky” scary world out there and we as adults have to find the way to raise kids so that they are aware of the things happening around them, so they don’t pick it up off the streets. All the while we need to preserve their “childhood” so that they can enjoy these days of youth and not going to bed as we adults all did this past Friday knowing that life is uncertain, and that sometimes when we least expect it really bad things happen. Let’s hope they can get some more days just wondering what they can get into next, where there next pool date will be and all the rest of the things that make summer so special. Thanks, Bethany, for taking the time out of summer with the boys to once again “nail it”. Here’s wishing you a wonderful second half to your summer, and hoping that most of the “ickiness” is over. Amen to that, Debbie. I know there are many parents who will answer their kids’ questions when the kids approach the parents. But who won’t initiate the conversation. That doesn’t work for me because it’s everywhere. On TV. On the internet. In the papers. In snippets of conversations they overhear at the pool. It’s stressful to prepare for those talks with the kids. It’s delicate to have those talks. But I want my guys to know their parents are a reliable source of information. They’ll eventually go to their friends first. I’m hoping they continue to recognize us as a viable alternative. Thanks for reading…and for your great feedback! Ron, that’s how it is for us with our two little guys. Right now, they are none the wiser, and it is such a beautiful relief. Pull my finger is a special treat for them…played only at the dinner table when Daddy is home. Quickly undoing all the work I’ve done throughout the day. A real treat. I loved every little bit and laughed out loud many times. Think this one should go to Huffington too. 😛 Great job. So well written, Bethany! I loved it all! I really appreciated what you said about Sandusky. So much has already been said, but your words were elegant and insightful and compassionate. Your line that the men “had an opportunity to be better men… but didn’t take it” – that is the essential lessons for kids, and all of us, to get out of this. I want to protect my kids from sick people, but more importantly, I want to help them to become people who strive to always do the right thing, which means I have to as well. Thanks! Thanks, Kar! It’s delicate. My thoughts immediately go to the victims and their families. But then there are the poor families of the men in power at Penn State. They are going through the same emotions we are…just much more intensely and with a spotlight shone on them. It’s heartbreaking. to protect your children from heartbreak and see the world as a safe place! And I hear you are an amazing Mother and Mommom! I do enjoy the kids. They allow me not to take myself seriously. They remind me to have fun, laugh, make goofy faces, and dance. I think…in 20-30 years…I will enjoy being a Mommom too! And I do so hope they give me granddaughters. Thank you so much for reading and for commenting! i just found your blog and I love you! You are true, you are funny and you are sincerely honest, you are everyday life. 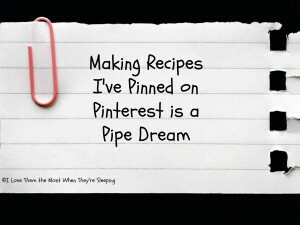 I check your blog daily and cannot wait for the next post! Terri, thank you so much! I am always wishing I could post more frequently, but too busy lubing the kids up with sunscreen, washing pool towels, and making meals for now. Keep checking back though…and thank you so much for reading and your awesome feedback!! I truly appreciate it! Oh how I loved this. This post is beautifully done! Galit, Nina’s friend! What a wonderful compliment from a beautiful writer. Thank you so much for reading. You are so funny, Bethany, and spot on. I’m so glad we found each other! Can you believe I missed Neil when he came to the Twin Cities on his tour? I’m was so bummed. I giggled at the sleep away camp comment. Hoping that will be me one day! (though I promise not to point.) Did you see the video that went around about the parents with kids at camp being glued to their computers to see new pictures? It’s hysterical. Nina, Neil was at his best this time around…I’m sorry you missed him. Oh, sleep away camp. Part of me feels like I could never do it. Another part of me knows it would be an amazing experience for the kids…and a healthy separation for all of us. But it’s a non-issue because it’s not in the budget anytime soon. Boo! I didn’t see the video…I’ll have to google it! Thanks for reading, for your comments, and for your kind words…I’m glad we’ve found each other too! so good to be back in the world of the meyer crew…missed you all. Welcome back!! See you next week!